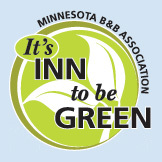 “Bed and Breakfast” quietly understates what our inn has to offer. 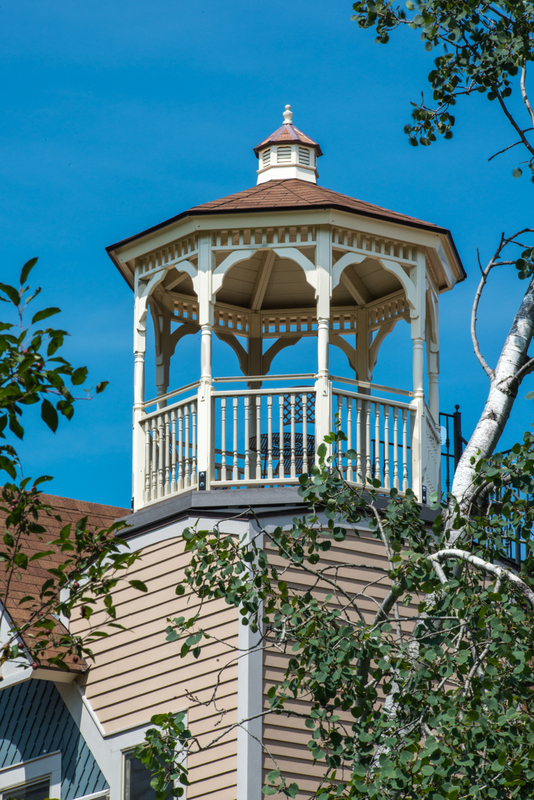 We are far more than a sleeping room and breakfast table; explore the home and you will find pleasant surprises around each corner, culminating in Lanesboro’s only rooftop gazebo. 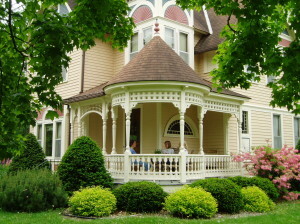 Drink your tea while relaxing on our front porch. Outdoors, shaded, gentle breeze, and no screens necessary in Lanesboro’s virtually mosquito-free environment. Our porch has been restored to its inviting turn-of-the-century architecture — a popular place for guests and an occasional innkeeper. Two rocking chairs and a small chair-encircled table await a cup of coffee, a glass of wine, and friends. 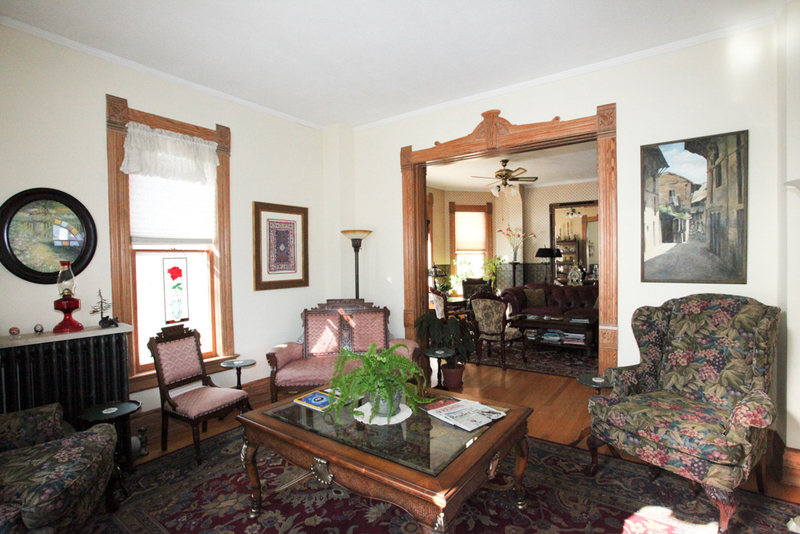 The heart of our home is our main floor, with its foyer, living room, parlor, and dining room. Step back into the late 1800s and admire the original detailed woodwork, high ceilings, aged hardwood floors, and period furnishings. Relax, find a book, engage in conversation, put on a little music, watch a few birds, play a tune on the piano, and make yourself at home. In the morning our dining room comes to life, with a warm welcome and a sumptuous, made-from-scratch breakfast. In afternoons, evenings, or in rainy weather, the dining room table often hosts Scrabble, cribbage, chess, other games from our living room cabinet, or an occasional Ukrainian Egg decorating lesson. Coffee, tea, and hot chocolate are available 24/7 in our Butler’s Pantry, right next to the dining room. The Butler’s Pantry also has a small refrigerator and microwave, sink, wine glasses, cups and mugs, plates and bowls, silverware and napkins, corkscrews, and other items, all for guest use. A cozy sitting room is just next to the morning coffee area on the second floor, where guests often like to have their morning coffee/tea with a magazine or newspaper. 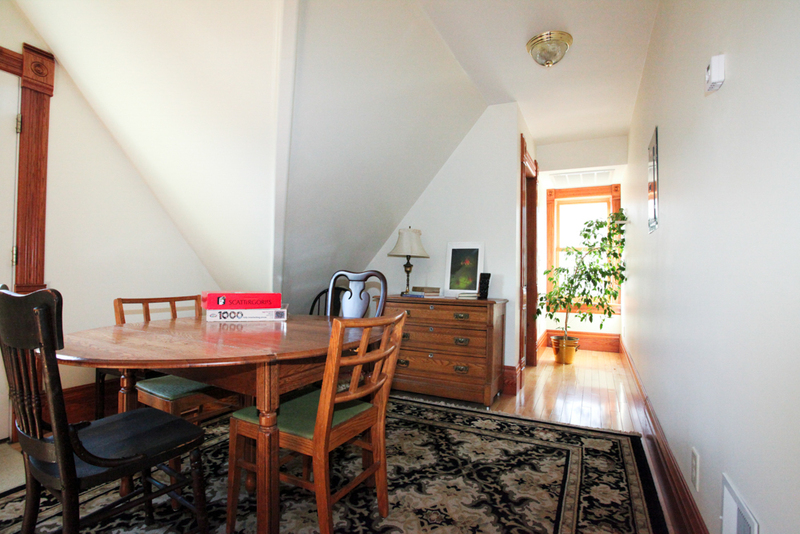 On the third floor, a well-used oak table offers more space for Scrabble, cards, and puzzles, with seating for four. Just outside is our third-floor breezeway – a pleasant open-air common area tucked between the older and newer sections of the home, with a table and outdoor seating for six. Climb the spiral staircase from the breezeway for a unique 360-degree overlook of the Root River Valley and town of Lanesboro. You will find two chairs and a small table to set your glass or cup and catch the morning light or evening sunset. Flowers are in bloom throughout the spring, summer and fall — tulips, daisies, coreopsis, lilies, irises, spiria, blazing stars, azalea, lupine, roses, black-eyed Susans, and others. An elderly flowering crab apple tree adds its color and fragrance to the springtime lawn. Because we use no synthetic chemicals on our lawn, you’re likely to see clover and a dandelion or two, and for the same reason you’ll also see birds and butterflies and bumblebees and fireflies. In the fall, our maples, dogwood, and sedum turn the colors of autumn. Just outside the living room window, our backyard maple becomes an especially brilliant shade of red. Deer are often seen in our yard by early risers. One year two young mourning doves were raised by their parents near our rosebushes, hopping around relatively unafraid of people. Best of all, practically no mosquitoes. Enjoy the beautiful flowers, birds and butterflies in our gardens. Winter makes our home even more inviting – snow on the roof, but warmth of all kinds on the inside. In November 2006 we broke ground on an addition to our home, now open to guests. The door and window hardware and the wooden trim were chosen to match that of the original house. Deep beneath the lawn’s surface lies Lanesboro’s only geothermal heating system. Geothermal heats the addition and air conditions the entire house.